Warner Music has categorically rebuffed the anti-DRM statements made by Apple and EMI last week. Warner's British rival EMI suggested at the end of last week that it could be planning to go along with Steve Jobs' masterplan to scrap DRM protection on digital downloads. Steve Jobs wrote in an open letter to the music industry last Tuesday that he felt DRM copy protection on music sold on iTunes and other stores should be scrapped. "In such a world, any player can play music purchased from any store, and any store can sell music which is playable on all players. This is clearly the best alternative for consumers, and Apple would embrace it in a heartbeat," he said. 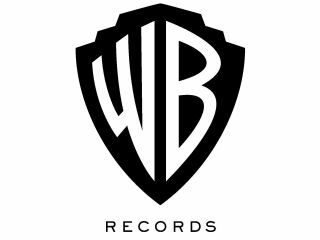 But Warner Music CEO Edgar Bronfman said any plans to scrap DRM protection on digital downloads were "completely without merit". He said, "We advocate the continued use of DRM. The notion that music does not deserve the same protection as software, film, video games or other intellectual property, simply because there is an unprotected legacy product in the physical world, is completely without logic or merit." This suggests that any transition to universally DRM-free music downloads may not be as smooth as the anti-DRM crew were hoping. Meanwhile Silicon Valley Watcher says that the head of Yahoo Music , Dave Goldberg, is also in favour of scrapping DRM protection. He has apparently said, "I've long advocated removing DRM on music because there is already a lot of music available without DRM, and it just makes things complicated for the user." The death of DRM would certainly not be mourned by the music fans. The varying forms of protection seriously limit the way fans can use their tracks, forcing them to be careful where they download from - it all depends which programs or devices they want the songs to work on. It's possible then that if a major label like EMI teams up with distributors like Apple and Yahoo to release the EMI catalogue DRM-free, Warner and the rest will find it very hard not to follow suit.